Following today’s unprecedented events, the Railway would like to thank our visitors for their understanding. We know that travelling with us on Boxing Day is a part of many people’s family traditions, and we hope you’ll be able to join us on another day soon. The water level at Haworth is now falling, though more rainfall is forecast overnight. We will not be able to run any trains tomorrow until at least 12 noon, while we check the railway for damage, though we hope to begin to operate a service after that. Please check with us on our Facebook page and on the website for a further update in the morning, before setting out. 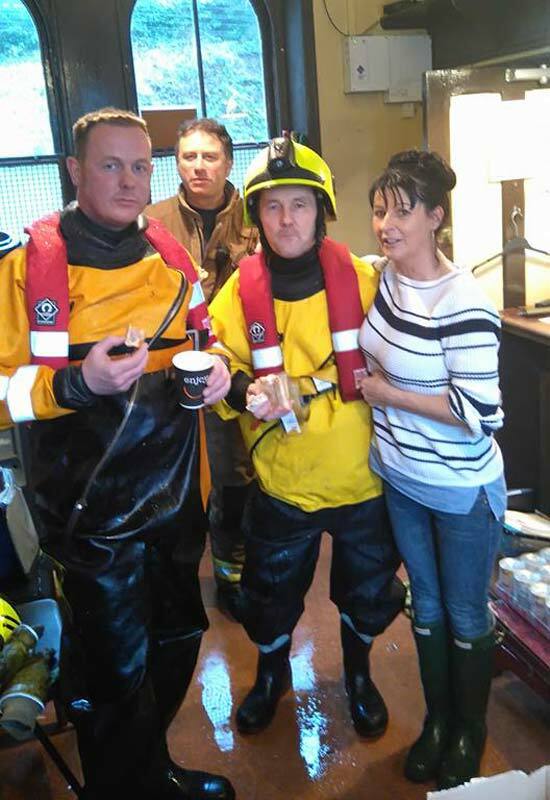 Cameras and videos have been out in force and here are examples of what has been submitted on Facebook and YouTube recording the devastating effects of the local deluge. 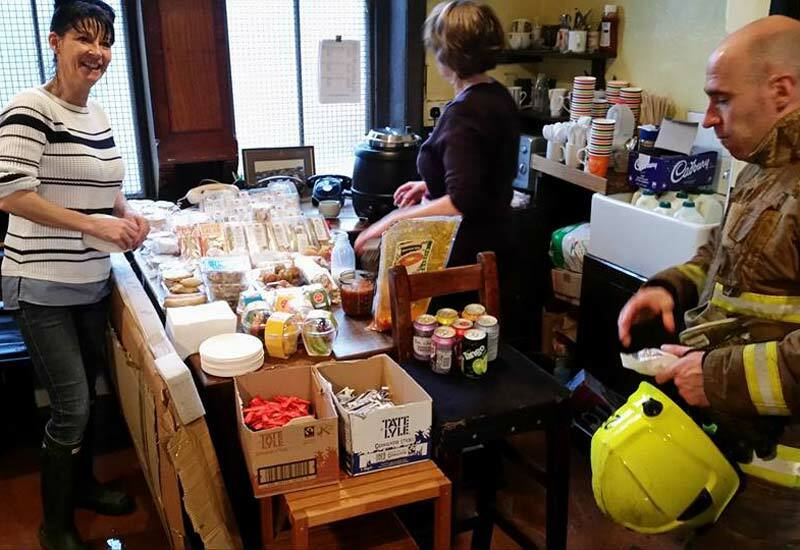 Whilst everyone was concentrating on the flooding, the KWVR catering staff once again rose to the occasion, setting up an emergency canteen in Haworth Station to provide sustenance for the fireman and volunteers fighting the effects of the floodwater.